← Assistant Store Manager Organic Food MNC @Delhi. Posted on October 3, 2012, in Quotes by The Greats! 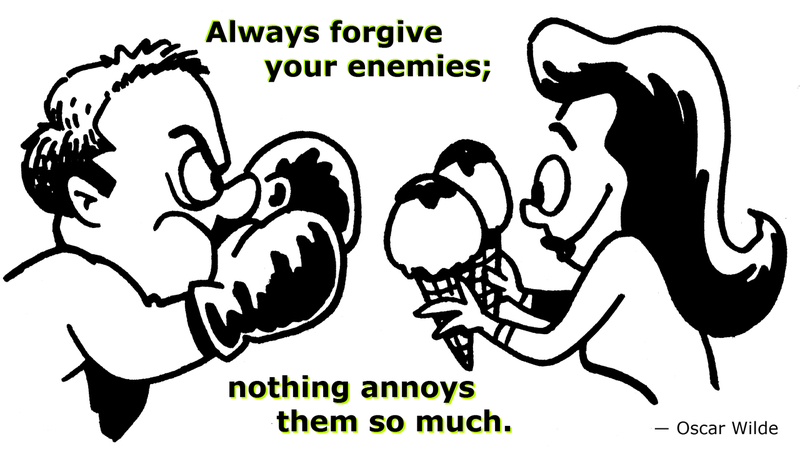 and tagged “Always forgive your enemies; nothing annoys them so much.” ― Oscar Wilde, dealing wiuth enemies, how to beat your enemies. Bookmark the permalink. 1 Comment.